Over Bust Corsets There are 22 products. The Lady Chatterley Corset is perfect for those with shorter Torso’s a natural set of curves and a full B-Cup to E-Cup. This shapely corset supports the breasts, pulls in the waist, flattens the tummy and has grommets and lacing at the top of the front to adjust the cleavage. Also lacing detail at the hips as well a stunning corset shape. The Legend Corset is a serious tight lacing over bust corset with incredible cinching power. 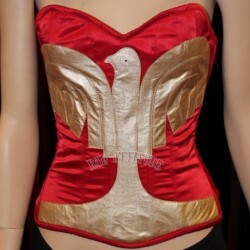 It features a low V sweatheart front, gored hips, and an aceptuated waistband. 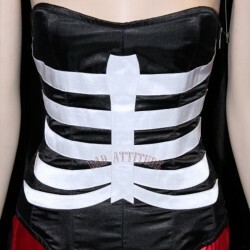 This corset is great for most shapes and sizes!